Dr. Nyberg currently focuses on mobile health care solutions with emphasis on chronic disease management and disease prevention. He has extensive experience in strategic automation systems, wireless and mobile systems and information integration. His previous background was director of the Healthcare Automation Laboratory at the Helsinki Polytechnic and the SVP (Technology) at Novo Astra Ltd. which focused on very large location-based service systems with up to sixty million users. 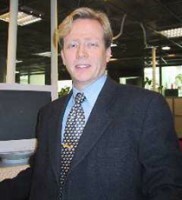 Prior Novo Astra he was the automation professor chair at the Tampere University of Technology. During the past 15 years he has conducted numerous large development projects and has over one hundred publications and some 30 patents. Nyberg has a Doctor of Technology and a MSc. degree from the Helsinki University of Technology. Dr. Nyberg has no relevant financial relationships to disclose.